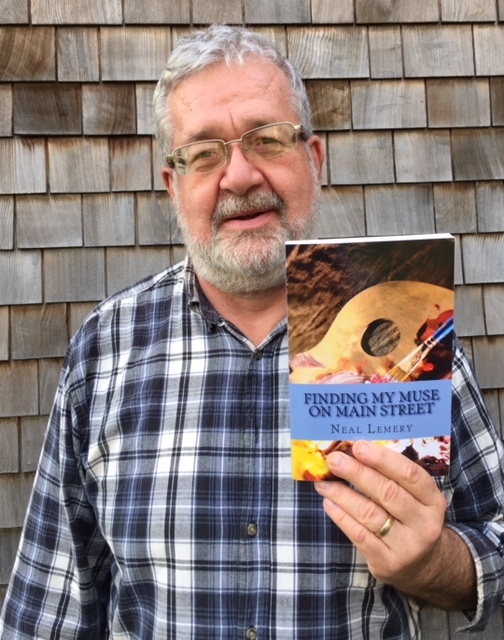 Neal Lemery’s new coming of age novel, Finding My Muse on Main Street, has been published and is available on Amazon. The book explores the young creative spirit and the role of art in building community. Growing up on the Pacific Northwest coast, small town boy Jake Morgan wants to find himself and his purpose in life. With the help of his many friends along Main Street, he lights his artistic creativity on fire. Taking the lead, he forges a coalition of artists, movers and shakers to build a community and open an art gallery on Main Street. Along the way, lives are transformed, including his own, on his way to manhood. In this young adult novel, Jake discovers his own artistic gifts and dreams, and connects with others along Main Street, who are seeking their own artistic dreams and creativity. Together, they build a renewed community, healing old wounds and reinvigorating their lives. “In this positive, uplifting, coming of age novel, a creative young man struggles to find his artistic self, with the help of the inhabitants of a small, coastal town. As he walks the path before him, he learns that almost all the people he knows have private, artistic lives which give them strength to endure the vagaries of life. The more he learns about and from them, the more each artist encourages him in his journey, the more he grows to know the path to himself involves making a place for the artists he knows where they can share with each other the art they create. Lemery will hold a reading from his book during the downtown Tillamook, Oregon monthly Art Walk, on Saturday, February 24, 2018, at the Art Accelerated gallery, 1906 Third Street, Tillamook, from 1 to 3 p.m.
Lemery, a retired judge and now a community volunteer, is the author of Mentoring Boys to Men: Climbing Their Own Mountains and Homegrown Tomatoes: Essays and Musings From My Garden.